Doña Josefa Ortiz de Dominguez, a Mexican patriot as well as a heroine of Mexico’s Independence War, made her name in history for her bravery when she risked her own life alerting the rebel insurgents about the discovery of the Queretaro Conspiracy for Independence. Thanks to her, Father Miguel Hidalgo moved forward the date in which the Independence movement would start to the early hours of September 16th, 1810. Without her timely notice, the struggle for independence would have been discovered and the efforts of the conspirators would never have achieved their ultimate purpose: Mexico’s Independence from the Spanish Crown. Maria de la Natividad Giron Josefa Ortiz is best known as Doña Josefa Ortiz de Dominguez, “La Corregidora” (the Chief Magistrate) of Queretaro. She was the daughter of the Spaniards Juan Jose Ortiz and Maria Manuela Giron. 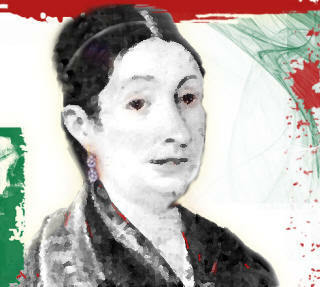 She was born in Valladolid– what is now Morelia– in 1768 and was raised in Mexico City. Her parents died when she was a small child so her older sister Maria Sotero was granted custody. Maria enrolled her sister in the Colegio de las Vizcaínas, a very prestigious school to which she was accepted because she was a criolla, creole, that is, the children of Spaniards born in the New Spain. While still a college student she met Miguel Dominguez, a widower who often visited the school. They fell in love and were married secretly in 1791; they had 14 children. As secretary of the Royal Court, Miguel Dominguez was subsequently appointed magistrate of Queretaro in 1802 where the family settled. They quickly won over the sympathy of the Queretaro society of the time, joining various social groups. It is well known that Doña Josefa was vehemently against the abuse that the Spaniards– that is, the European-born Spaniards – exercised over the natives considering and treating them as second-class citizens. She always identified with the native’s social problems, for they were relegated to secondary positions in public administration as well as in the military.